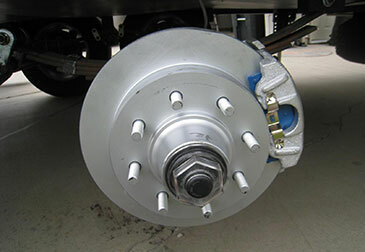 Choose Performance Trailer Braking's disc brake systems to stop your trailer or fifth wheel safely. Turn to Performance Trailer Braking for professional installation recommendations and technical support. Travel safely and rest assured that you are getting the best products for your trailer and the best expertise available from Performance Trailer Braking. Whether you need a complete installation or are doing the job yourself, we have just what you need. 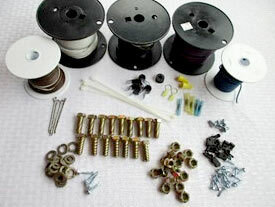 All system components from one manufacturer. DIY kits with everything you need, except bearing grease and brake fluid for hazmat reasons. The name you can trust from an industry expert. ​Why Choose Performance Trailer Braking? We're the guys who are training all the best installers out there. Doing the job yourself? We give you everything you need, including free support! Unlike systems pieced together from various other manufacturers, Titan disc brake systems include all components made by the same manufacturer, tested, and proven to work. When you buy our complete conversion kits, you will receive every last item you will need to complete the job—not just the discs and actuator, but every screw, every fitting and lengths of wire! All our disc brake systems include free telephone consultation and technical support any day of the week. You won't get that from the other guys! Contact us for the perfect fit for your trailer. 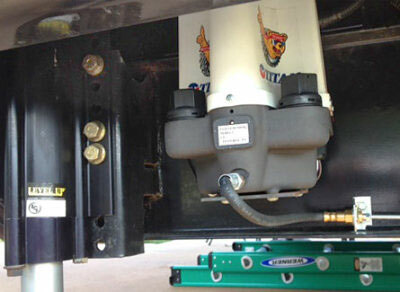 We offer systems for any trailer with electric brakes: Travel, 5th Wheel, Boat, Construction, Horse, Cargo & Car Haulers. WARNING: Kits may contain products that can expose you to chemicals including lead, DEHP, and ethylbenzene which are known to the State of California to cause cancer and birth defects or other reproductive harm. For more information, go to www.p65warnings.ca.gov. These are all complete conversion kits with everything you need except for grease & fluid. All prices are for single wheel axles (not duallys). Please note that "double" axle is the same as "tandem" axle; it has two axles. Unfortunately disc brake conversion kits do not support 4.4k axles. In order to use disc brakes, you'll also need to upgrade your axles. We can help you out with that, too! Don't see your trailer's configuration? Contact us for all available options! We also have suspension parts, axles, tires, and more. When you upgrade your disc brakes, it's a good time to evaluate your axle load. If you need to support a higher load, consider upgrading your axles as well. Performance Trailer Braking can help you with this too! Call any time for personal assistance or download available documentation and how to videos below. See All Upcoming Shows & Events. Find details and directions for all upcoming events and rallies on our Facebook Page.